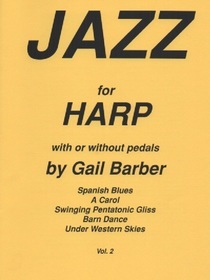 Many of Gail Barber’s original compositions for harp relate to the culture or history of a country. Windmill Sketches depicts scenes form the Southwest and the enchanting Turkish Fantasy takes one from a Sultan’s Palace to Moonlight on the Bosporus. 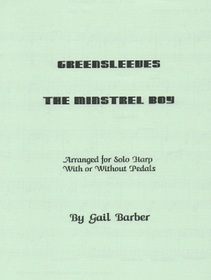 Full score, Harp Part (pedal or lever), String Parts. 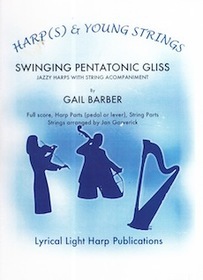 Strings & Percussion arranged by Jan Garverick. Enchanting Oriental melodies with multiple harps, soft percussion, and strings. Includes a CD! 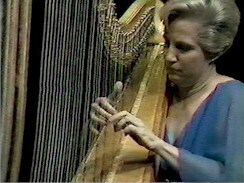 Gail Barber, 1989. 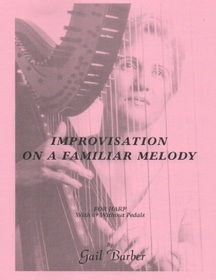 *Arranged for Solo Harp with or without pedals. 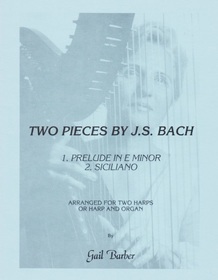 Full score, Harp Part (pedal or lever), String Parts. 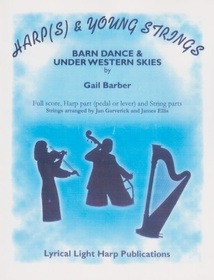 Strings & Percussion arranged by Garverick. 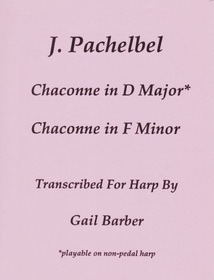 Full score, Harp Parts (pedal or lever), String Parts. 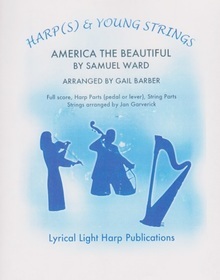 Strings arranged by Jan Garverick. 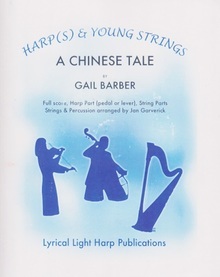 Harp(s) and Young Strings, arranged by Gail Barber. 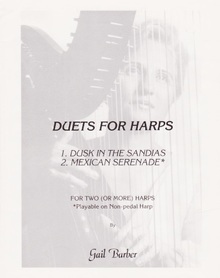 Full Score, Harp Parts (Lever or Pedal), and Strings (5,5,4,3,2).Includes a CD!